WELCOME BACK: First, happy Friday the 13th. We hope that you are not superstitious and you have a great day! Secondly, and more importantly, Happy Valentine's Day! 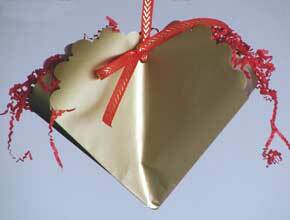 We hope that you've remembered to get your sweetie something nice to show her/him how much you love them. Just in case you forgot to do anything nice, at least send them a Valentine's eCard. We have a direct link to 123 Greetings on our web site where you can select a card, personalize it and schedule it to be sent on the 14th. While it's not as nice as a trip to Hawaii it is a nice gesture. I guess we were right in saying that the rodent here is Western Washington didn't see his shadow so winter is coming to an end. This week we've had weather comparable to that of my Aunt Shirley's in the Daytona, Florida area. Wednesday we had some areas reach 66 degrees F. Of course like every year late winter turns back into cooler, rainy weather which is exactly what's predicted for this weekend and on through the next two weeks. Speaking of weather reports and the news in general, have you noticed how sensationalized the news is becoming? There has always been an attempt to make the news sound more important and exciting than it really is but lately it's really gotten out of control. We were watching the other night and there wasn't much going on and the reporters looked sort of down. Well between the break for National news and when they come back on the air something newsworthy happened. While the news was tragic, the reporters we literally salivating all over their news copy. Then come the teases for everything that they are about to talk about. If you ran a stopwatch on the news you would see that they spend more time telling you about what they are going to talk about than what they actually do talk about. We keep telling you about our craft site but have you actually gone and checked it out? We currently have Wood'n Wares, hand made maple kitchen utensils and Ron Godin's Adirondack art signs on display. These are some great crafts that would look great in your home or make great gifts. Check them out at www.runnerduck.com/craft.htm. You are logged on to this newsletter as [[-Email-]] and receiving it because you are a friend of mine or a friend of theirs. 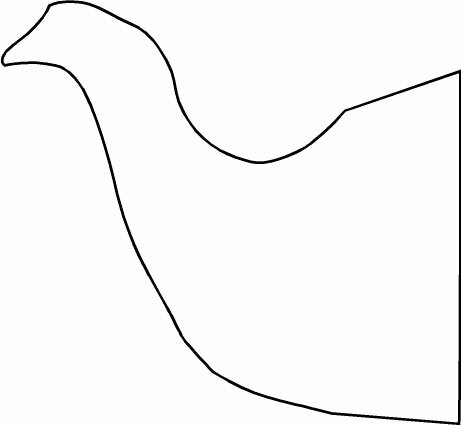 If you would like to be removed from receiving this newsletter just send an email to unsubscribe@runnerduck.com leaving the Subject and Body blank. Check out our time saving QuickLinks. What's New This Week? We'd like to wish Marilyn's sister Susie a Happy Birthday. She's clicked off another year and is now … Nope, can't tell you but she's a good looking …! We are going to celebrate it at Marilyn's sister Sandy's newly remodeled house on Whidbey Island. It's always fun to go to the island because we get to go for a ferry ride. Any time spent on the water is fun even if it's only a ferryboat. As long as we are on the subject of boats we think we'll take a drive up to Bellingham and see how ours is doing. We haven't been up there for over a month and they've had some pretty good winds and rain since then. It's always good to know first hand that everything is OK and floating. Every time we go there we get anxious to get out on the water for a few days. It won't be long and the weather will allow us to do that but in the mean time it's just putter around with it and keep it in good condition. Have you heard that Bill Gates has a plan to put an end to Spam email within the next two years? Well he does although it's pretty controversial. We think we have a better solution but it involves everybody to cooperate. Here's how our plan will work but first a little background. Say a Spammer sends out three million emails to sell a new wonder drug to keep your eyelids from sagging. This wonder drug sells for $12.00 per bottle. From this effort they get .01% of the people responding. If you do the math that means that they will get $3,600 from this one mailing. Do this day after day and you can see why they continue to do this. So here's our plan. Don't do anything with any Spam email you get. Do not go to their web site! Do not buy their products! Do not respond in any way to their requests! All of a sudden it no longer becomes profitable for them to send out these mass mailings. We're not talking about emails that you get in response to emails that you've sent or legitimist emails like those from RunnerDuck but all the unsolicited junk. If we spread the word and got the world to do this then Bill would not have to waste his time. What do you think? Good idea? Some sites are just too much fun. The only problem with a fun site is that you can end up spending way too much time playing around. This weeks recommended site it exactly that, a fun site to waste tons of time on. Morphases is an online next generation software in face manipulation. It allows user to modify and create human faces from different elements in real time with almost an unlimited power. There aren't much for instructions but just playing with it for a while is all you need to do. While it's not generally nice to make faces this is one definite exception. Go to www.morphases.com/editor and have a blast! This is almost too late for Valentines Day but if you hurry you can make one. They really don't take very long and make your gift giving very special. These are fun for the kids to make but be sure and supervise them since the project uses sharp tools. Wrapping paper or colored paper. 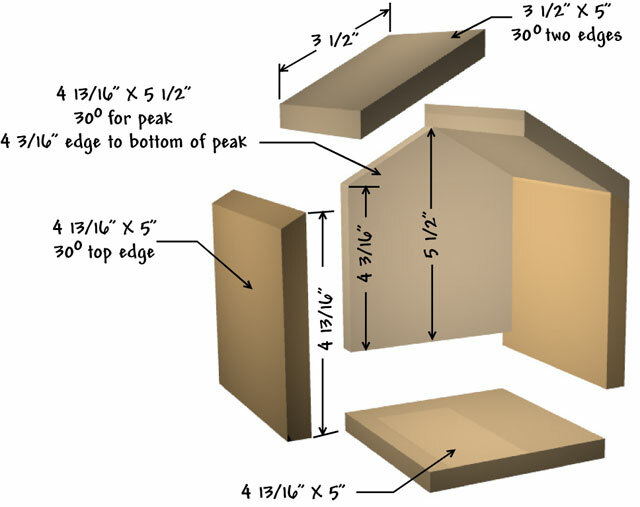 Card stock or cardboard if you are making a box. You can make these in any size. 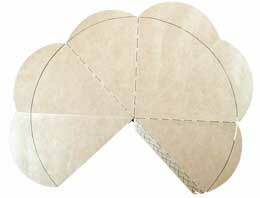 Use our pattern and blow it up or shrink it down to fit your needs. 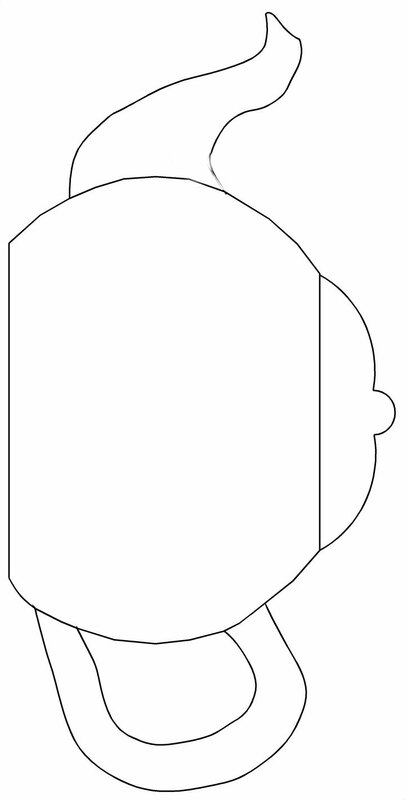 Cut on the solid lines and fold on the dashed lines. 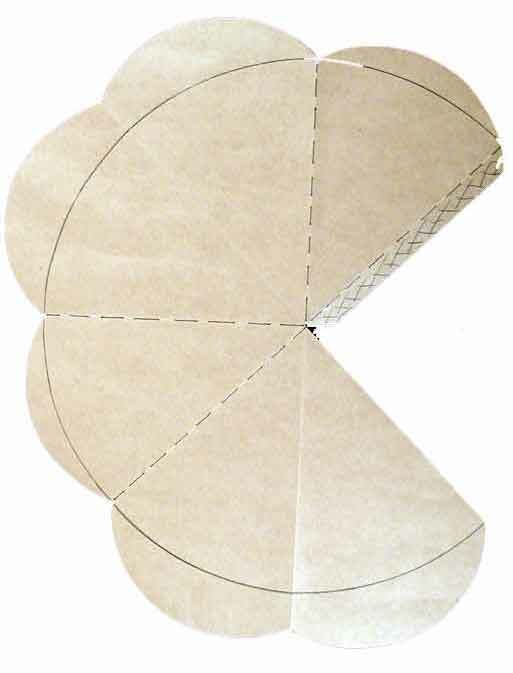 If you are making a box using thin cardboard, score on the fold lines using a sharp knife. 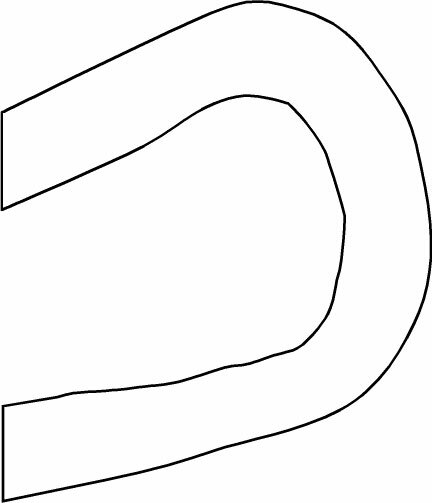 If you are using card stock, just fold on the fold lines. You may want to include inward folds at the sides. Apply glue to the "hashed" area. Glue the flap under the opposite flap up to the line. Punch holes for the ribbon. Decorate using rubber stamps, stickers or fabric. That's it! Fill it with Valentine's or a special gift. We hope you enjoy Marilyn's Corner and look forward to all the fun things she brings you each week. If you have a fun project that would be suitable for our newsletter we'd love to share it with our readers. Just contact marilyn@runnerduck.com and we'll do the rest. Remember we have all of our past projects archived on our web site at www.runnerduck.com. Just click on the Projects or Kids Only Eggs. Scrapbooking with a funky twist. Preserve your special mementos and photos with this totally complete memory kit. Scrapbook Creations makes it easy to design and organize your own beautiful, personalized scrapbook using high quality acid free materials and lots of decorative accessories. Set includes: Acid free materials: Front and back covers, multi colored sheets of paper, sticker sheets, frame sheets, rhinestones, binder rings, paintbrush, glue, markers, scissors and much more. We've got even more exciting news about our piano player Wayne. He actually showed up at rehearsal this past Wednesday. That's not even a week out of surgery! It was so good to see him and of course hear him play. We hope your recovery continues to go well. The Tempos big swing band is available for hire. If you have a special event that could use the wonderful music of a classic sixteen piece big band be sure to contact thetempos@runnerduck.com. We perform all over the Seattle area for all sorts of events. Back when I was playing professionally there was a group out called The Band. It had been a number of years since I had heard them and forgot just how influential and innovative they really were. This week's CD is the quintessential "Band" record. Remember, we have a link on our web site, www.runnerduck.com, to our ever popular Grammy® Shopper site. If you haven't been there yet just click HERE to see all the 2003 Grammy® winners complete with links to purchase any one of them. One of the best ways to get our newsletter is to have it delivered to your door step. Actually it would be delivered to your desktop! Right click on the XML link, select Copy Shortcut and paste it into your newsreader. Don't know what this is all about? Check out our little tutorial HERE! Welcome to our Q&A center. Got answers? We've got questions. Q: OK were going to ask one more time for ideas on dust control in the wood shop. We've only gotten a couple and could sure use a bunch more. Remember, this is for an up coming project on getting control of the dust in a small wood shop. Thank you in advance for any input. This week's tip is sort of a safety/conservation tip. Do you have areas around the outside of your house where you walk that are dark at night? You could always take a flashlight but that's sort of a bother. You could use outdoor lights but if it's not a path for the general public then you probably don't want to do that. What we use and recommend is motion sensor lights. They are easy to install and work great. It will make your evening travels much safer and save a little bit of energy. If you have a conservation tip please send it to conservation@runnerduck.com and we'll post it in our newsletter. If you are looking for a great hosting service at a terrific price check them out at www.fastwirenetwork.com. If you mention that you heard about them from RunnerDuck you will get a $5.00 per month "Duck Discount" for as long as you have your account. This is an old joke but it's always fun especially around this time of year. An elderly couple had dinner at another couple's house and after eating, the wives left the table and went into the kitchen. The two elderly gentlemen were talking, and one said, "Last night we went out to a new restaurant, and it was really great. I would recommend it very highly." The other man said, "What's the name of the restaurant?" The first man knits his brow in obvious concentration, and finally says to his companion, "Aahh, what is the name of that red flower you give to someone you love?" His friend replies, "A Carnation?" "No. No. The other one" the man says. His friend offers another suggestion, "The Poppy?" "Nahhhh," growls the man, "You know the one that is red and has thorns." His friend says, "Do you mean a rose?" "Yes, Yes that's it. Thank you!" the first man says. He then turns toward the kitchen and yells, "Rose, what's the name of that restaurant we went to last night? Ah, here's a sweet for your sweetie! Melt the Carmel's and Half and Half over a double boiler on low until smooth. Place the Nuts on a buttered sheet. Spoon 1 Tablespoon of melted Carmel over each. Melt the Chocolate and Paraffin. Spoon over the Carmel pieces. Remember, if you have a recipe you'd like to share please send it to marilyn@runnerduck.com. Every month we post a new recipe on our web page. Be sure and check out the NEW February recipe on Monday at the RunnerDuck Kitchen Store. We'd be happy to post your favorite recipe there or in our newsletter and give you credit. Just drop a line to marilyn@runnerduck.com. "The Art of Chocolate: Techniques and Recipes for Simply Spectacular Desserts and Confections"
Be sure and visit the RunnerDuck Cookbook Store for other great savings on cookbooks and cooking supplies. With spring only five weeks away it's time to start thinking about those little birdies. They are going to be looking for a nice place to set up house and we think this one is pretty neat. It's a complimentary project to the teacup bird feeder we had in our May 16, 2003 newsletter, www.runnerduck.com/05-16-03.htm. 4' of 1/2" water pipe threaded on one end (or both). Here's an exploded view of this project. Click on the picture for a bigger view. Cut all the pieces from 1/2" cedar as shown in the exploded view above for the bird house part of this project. Glue and nail the pieces together. 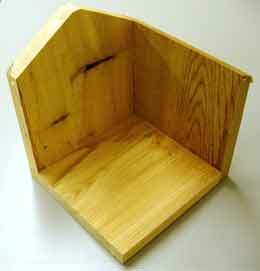 You should now have a birdhouse without the front. 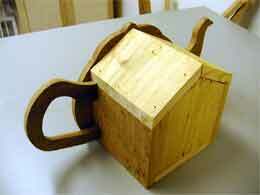 Cut the teapot, handle and spout from 3/4" cedar using these patterns. Click on the picture for a full-size printable pattern. Route the edges of the handle and spout with a 3/4" round over bit. Route all the edges of the teapot except for the front of the spout. Drill a 1 1/8" hole centered on the teapot about 4" up from the bottom. Drill a 1/4" hole, two thirds of the way through, centered 3/4" down from the bottom of the 1 1/8" hole. Cut a 1/4" dowel 2" long. Glue and nail the teapot onto the front of bird house. Fill the holes with wood putty and sand. Prime with a couple of coats of a good primer. Cedar has a tendency to bleed through the paint. 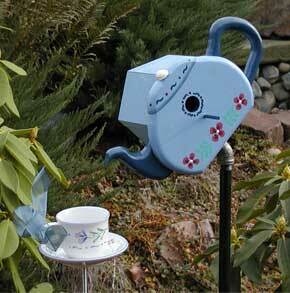 Paint the teapot to look any way you like. 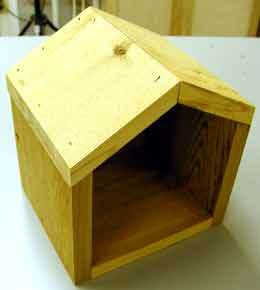 Attach a pipe flange centered on the bottom of the birdhouse. Screw in a short pipe stub then a 45 degree elbow and a 4' piece of pipe. Put it in the ground next to the teacup bird feeder. For a great selection of woodworking supplies and tools check out Rockler, Great Prices/Great Selection! They are in the middle of a huge sale with savings up to 50% off. If you have a project that you would like to share please send us an email and we'll help get it published in the RunnerDuck review. We are looking for woodworking, gardening, crafts and kids projects so send us your thoughts at projects@runnerduck.com . If you want to talk about something just drop us a line at duckmaster@runnerduck.com any time, we like to talk about most anything. We are always looking for content for our newsletter so if you have something to add we'd love to publish it. Assuming it meets our strict family oriented requirements! To unsubscribe just click HERE. or send an email to unsubscribe@runnerduck.com. Tell A Friend About The "Duck"
One of the best ways we build our reader base is by good people like you telling your friends about the "Duck". If you have a friend that you think would like our newsletter just fill in the following form. Privacy Statement: This information does not go to anyone but the person you entered above. We do not collect any information from this form. All rights reserved, RunnerDuck Productions, 2000, 2001, 2002, 2003, 2004. All other logos are property of the individual companies. We can be contacted at duckmaster@runnerduck.com.